Yao Ming’s presence in the fight to ban the selling of shark fin soup in China is being credited for an affirming-wave of anti-shark fin sentiment in Yao’s home country. The ancient practice of culling a shark’s fin for high-end cuisine has been derided for decades outside of China, as the shark is usually left to bleed to death in the sea instead of reasonably harvested for its entire body. The growing number of endangered sharks was affecting the food chain and delicate ecosystem balance in the Pacific Ocean. For those of you that don’t want to sit through the video, understand that the fin itself is a completely superfluous part of the actual dish. It’s a basic chicken and soy broth, flavored with pork and augmented with fresh coriander, bamboo shoots, and red wine vinegar. The fin has next to no taste after days of washing, rehydrating, and boiling. I’m sure the broth itself is fantastic (you can’t really go wrong with chicken stock, pork and soy sauce), but the fin is needless. It’s all for show. “The broth is delicious,” Ramsay concludes, “but it could have anything in there” instead of a shark fin. That “show” used to be relegated to the elite class in China. Now, with the growing middle class, more and more were acting the part of the high end culture and paying money for a soup that is more about status than taste, with a wildly destructive influence on both the sharks that are maimed and left to die for one part of their anatomy, and the overall food chain structure that the massive harvesting of shark fins is on its way to destroying. Or, was on its way to destroying. Thank in large part to a giant of a man in both stature, and commitment to the greater good. 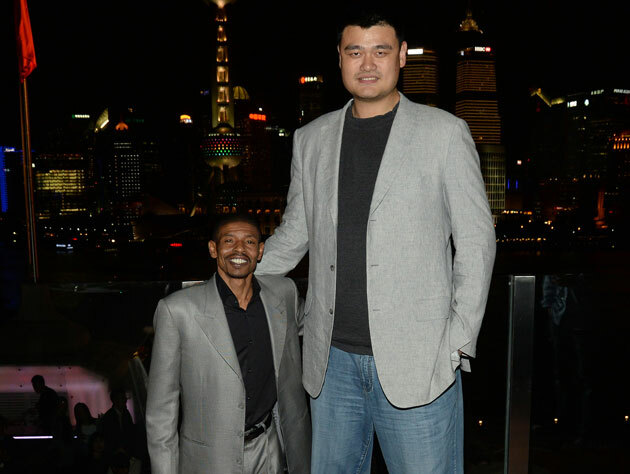 As huge fans of Yao’s, there is a downside of not being able to watch the retired Yao Ming play NBA basketball later this month. But after reading more and more about his off the court exploits, it’s hard to balance our selfish need to watch him toss in jump hooks, and the actual progress he’s making in his home country.